Bianca Santos posted a photo wearing Jenny Bird jewelry on her Instagram recently! The DUFF actress snapped a stunning selfie in her Crescent Moon Necklace in Silver ($60; www.jenny-bird.com). 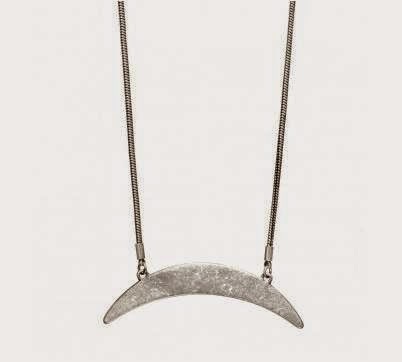 Did you know that the beautiful Francesca Eastwood has also been spotted wearing this trendy Crescent Moon Necklace from Jenny Bird. See Francesca Eastwood wearing the crescent moon necklace here on the Fashion Blog. See more of Bianca Santos wearing trendy jewelry.